Factor in possible ‘disturbances’ when planning a nurseryOne of the biggest challenges facing parents can be a sleeping baby. If you are faced with the unfortunate scenario of having a light sleeper, there are a few things you may like to consider to make your future life a little easier. ROOM LOCATION: Try to position the rooms away from areas that could have loud sudden noise. You may want the children’s rooms towards the back of the home away from the heavy knock of the front door, the loud car that pulls into the driveway or the sudden slam of the front door. If you are the entertaining type, you may prefer to keep a nursery located away from outdoor entertaining areas, too. Walk around your block before commencing the build and try to determine outside environmental factors that could possibly influence sleep. WATER PIPES: To make sure that an early morning shower does not result in an early waking baby or toddler, I would ask your builder about possible noise issues from water pipes. 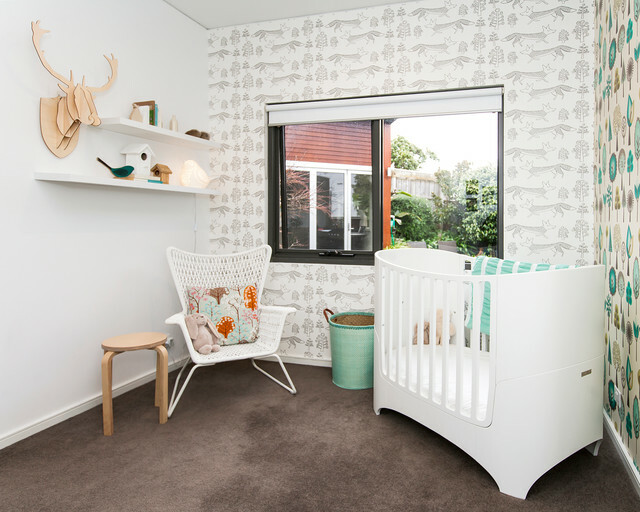 If noise may be an issue, consider where you place your baby’s nursery and avoid having nursery walls that back directly onto the plumbing of bathrooms or an ensuite.